Two North Sacra Norteño gang members were sentenced to life in prison yesterday following their conviction for the murder of two rival gang members. 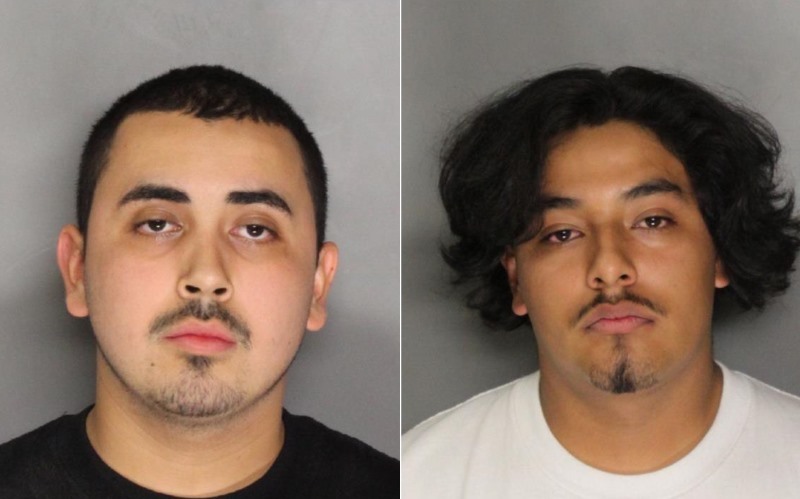 David Javier Jaimes and Alex Martinez Camacho were each sentenced to two terms of life in prison without the possibility of parole, plus 111 years and 4 months to life consecutive by Sacramento County Superior Court Judge Maryanne Gilliard. Jaimes Camacho were convicted on July 28 of the first-degree murders of Gladis Quinteros and Enrique De La Cruz, and attempted murder, and the jury also found true the special circumstance that both defendants committed multiple murders. On May 21, 2013, Jaimes and Camacho were in a car on Birdcage Street with fellow North Sacra Norteño (“NSN”) gang members when they saw who they believed was a rival Sureño gang member talking with another man and woman. The defendants got out of the car and shot the victims multiple times. The victims died at the scene and the case went unsolved. A month later, Jaimes and Camacho were again in a car with other gang members and they again believed they saw Sureño gang members in a truck and followed them. While stopped at the intersection of Arden Way and Morse Avenue, one of the gang members in the car opened fire on the truck, critically wounding the passenger. A nearby sheriff’s deputy heard the shots and pursued the suspect vehicle. During a high-speed chase, a handgun was thrown from the vehicle and was later recovered.